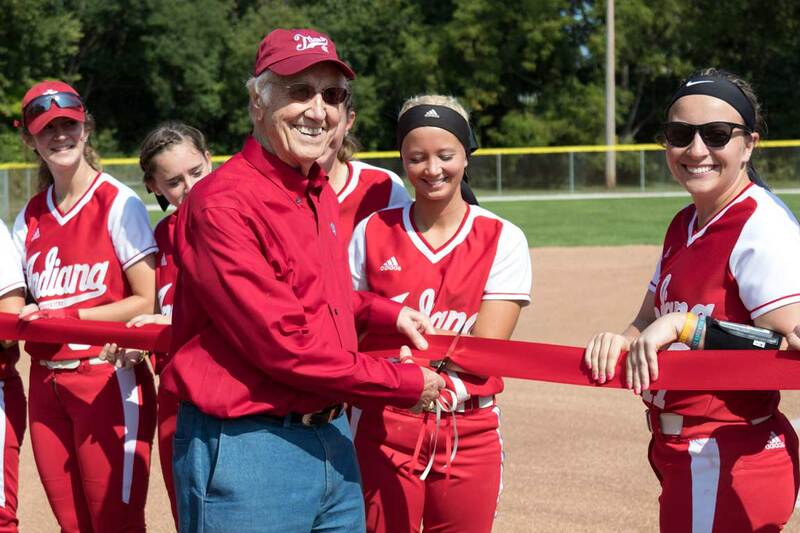 The IU South Bend women’s softball team has a new home field thanks to a partnership with the City of South Bend and the generosity of a local donor. At the inaugural game, South Bend business and civic leader Richard Pfeil was recognized for his gift that funded improvements to the softball facility at Veterans Memorial Park. In recognition of the improvements to the park, the City of South Bend named the softball venue Pfeil Field. IU South Bend will lease the field from the South Bend Board of Venues, Parks and Arts at no cost. The Titans defeated Ancilla College in the first game at Pfeil Field. The growth of varsity athletics at IU South Bend reached a milestone this fall with twelve teams competing for the first time in the Chicagoland Conference of the National Association of Intercollegiate Athletics (NAIA). The teams are men’s and women’s basketball, women’s volleyball, men’s baseball, men’s and women’s cross country, men’s and women’s golf, women’s softball, men’s and women’s tennis, and competitive cheer. The expansion of athletics is in the IU South Bend strategic plan as a way to attract a new group of students to campus, increase enrollment, fill student housing, and enhance student life. The Titan teams have brought an energy and spirit to campus that can now be seen throughout the year.